Clarity Audiology & Hearing Solutions can diagnose types of Tinnitus accurately and efficiently. 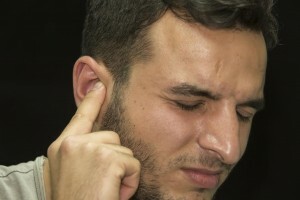 Tinnitus is an auditory malady which causes those affected to experience phantom ringing, whooshing and buzzing noises. It can be quite a daunting problem for many because only you can hear it, and it’s constantly distracting, and annoying. This common malady is handled by many people differently. For example, some patients say that a simple shake of the head will make the noises go away, but for others the noises are consistently debilitating. Let’s explore the specific types of Tinnitus, what causes this malady, and the effective methods for handling this disease. Objective Tinnitus-Caused by the ability to hear muscle contractions or vascular deformities, this type of tinnitus is the only one that can be heard by others. It can be permanently fixed if the cause of these contractions and deformities are found. Although these types of Tinnitus do not have an easy cure, there are ways to lessen symptoms. With no drug treatment available your best bet is to rely on behavioral therapy, or sound-generating devices to distract you from your symptoms. There is hope to alleviate this malady, so let’s go over some very important preventative methods. The use of hearing aids may help patients with Tinnitus, as many suffer from some form of hearing loss. Your combination of symptoms are unique to you, so seeking help from a professional should always be sought if you are unsure what type of Tinnitus you might have. This entry was posted on Wednesday, May 4th, 2016 at 4:02 pm. Both comments and pings are currently closed.